Randall: Randall Amplifiers was founded in 1970 with a focus on the advancement of the technology surrounding Guitar Amplifiers. Since then, Randall has become a staple in the music industry. The Randall Four Button Footswitch With LED And External Cable is a Four Button Footswitch with LED. An External Cable is included. 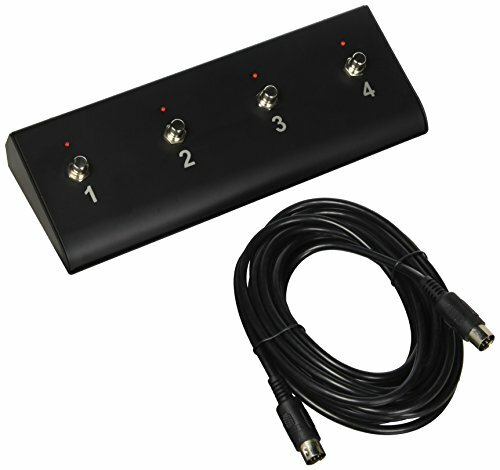 This Footswitch is compatible with the RG3003, RG1503, RG1503-212, and RD100H. If you have any questions about this product by Randall, contact us by completing and submitting the form below. If you are looking for a specif part number, please include it with your message.